Posted on July 31, 2018 by Ava G.
I have been a fan of Star Wars ever since I was little and was super excited when Disney picked up Star Wars and started making more movies. But, I was just disappointed in them and I was hoping this movie would be better. It was. It wasn’t great and I’m sure I didn’t completely dislike because it was Disney. It was really interesting getting to learn Han Solo’s backstory. But there was so much more room for a more creative story. It in some ways filled in the gaps of who Han Solo is in ways that I didn’t really like. I didn’t really like the way they portrayed all the characters it made some of them seem different than who they were in the original movies. Some of Han’s backstory did also seem like it was a bit similar to Darth Vaders because Disney characterized them in similar ways . Also, even though it is Han Solo, it bugged me that Disney had to put in yet another one of their cliche love stories into the movie. It in a way it reminded me of the Padme and Anakin relationship. I did like the fighting scenes though. There was some classic Star Wars style fighting scenes and special effects that I really enjoyed watching. It helped the movie seem like a Star Wars movie. I still enjoyed watching the movie and would totally recommend any Star Wars fan to watch it. But it isn’t really about the storyline, it’s more about the special effects and fighting. 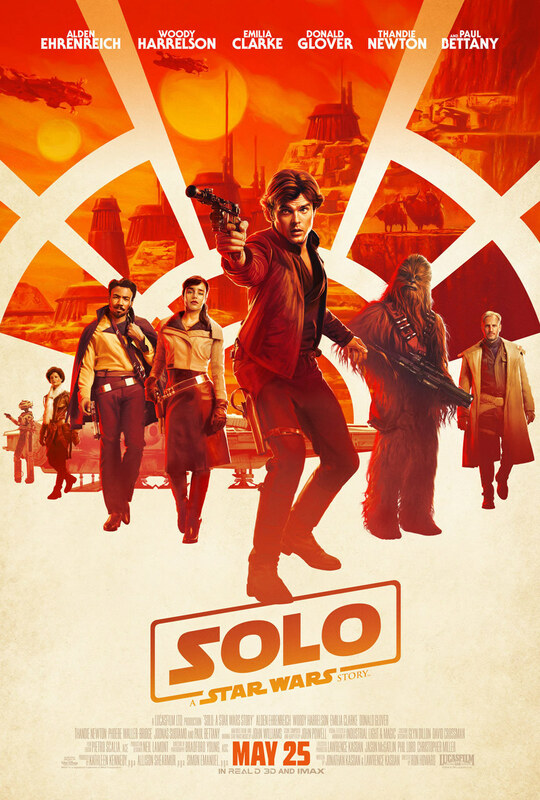 This entry was posted in Movies & Multimedia and tagged han solo, origin story, science fiction, solo, star wars by Ava G.. Bookmark the permalink.